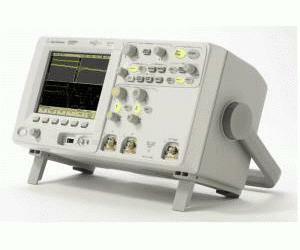 The Agilent 5000 series delivers our proprietary MegaZoom III technology in a small benchtop package. By combining fast sample rates with deep memory and impressive update rates, these scopes help you avoid the trade-offs associated with typical bench scopes. MegaZoom III technology blocks used in our higher performance bench and lab oscilloscopes – responsive deep memory, fast update rates with minimal “dead time”, and analog-like display systems – and deliver them in a compact package, at a price similar to oscilloscopes with older technology blocks.